Pushing fuel economy for a compact SUV to a whole new level, the 2018 Chevrolet Equinox will return 39 MPG highway when equipped with the new 1.6L turbo-diesel engine. That’s a significant improvement over the 31 MPG the gasoline engine offers. Get ready to ghost your gas station. The 2018 Chevrolet Equinox offers an EPA-certified 39 mpg on the highway (FWD model) with the available 1.6L turbo-diesel engine, offering expected segment-topping highway fuel economy. Chevy says, that number is expected to top the segment in highway fuel economy, with greater highway mileage than the 2017 Toyota RAV4 hybrid and Nissan Rogue hybrid. A 577-mile cruising range (FWD) also means the Equinox diesel can drive farther between fill-ups, such as Chicago to Memphis, Tennessee, or Boston to Richmond, Virginia. 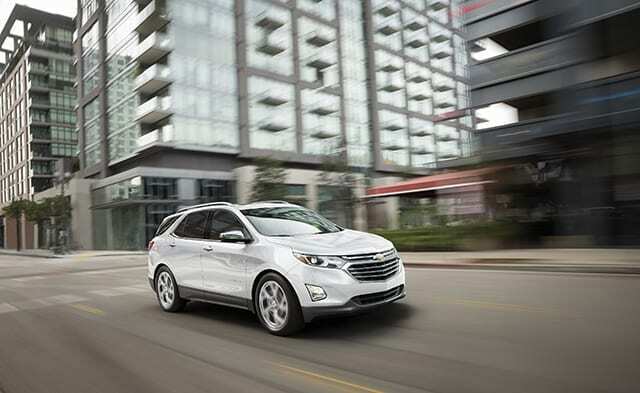 The new turbo-diesel engine is part of Equinox’s trio of all-turbocharged propulsion systems. It is SAE-certified at 240 lb-ft of torque (325 Nm) and incorporates a variable-geometry turbocharger that helps generate strong torque at low rpm and more horsepower at higher rpm. The engine also features stop/start technology to optimize efficiency in stop-and-go driving and it is compatible with B20 bio-diesel fuel. The 1.6L is a clean-sheet redesign developed entirely within General Motors, including the engine control system. Development was driven from GM’s diesel product center in Torino, Italy, and involved more than 24,000 hours of computational analysis, while simulated and real-world testing totaled more than 4.35 million miles of driving. The all-new 2018 Equinox is a fresh and modern compact SUV featuring an expressive design, increased cargo space, the latest connectivity, expanded roster of available safety features and all-new range of turbocharged engines. Purposeful technologies are designed to help keep passengers safe, comfortable and connected. Teen Driver is offered along with safety features such as Safety Alert Seat, Surround Vision, Forward Collison Alert with Following Distance Indicator and more. The 2018 Equinox is on sale now, starting at $24,475 (including destination charge). Pricing for the turbo-diesel engine starts at $31,435 (including destination) when it goes on sale this fall. Tax, title, license and dealer fees extra.